One of RCL's favorite actresses, and the star of 'Manhattan Night,' gets a well-deserved close-up. Yvonne Strahovski is the beautiful and talented Australian actress, starring opposite Adrien Brody as Caroline Crowley in the new film thriller, Manhattan Night, opening this Friday, May 20. Strahovski won millions of fans as Sarah Walker, the gorgeous CIA superspy, in the action comedy series Chuck; and then went on to star in Dexter, 24: Live Another Day, and The Astronaut Wives Club. On film, Yvonne recently wrapped two back-to-back features including All I See Is You for director Marc Forster and Lionsgate’s Manhattan Night, following her previous starring roles in I, Frankenstein opposite Aaron Eckhart and Killer Elite alongside Jason Stratham. 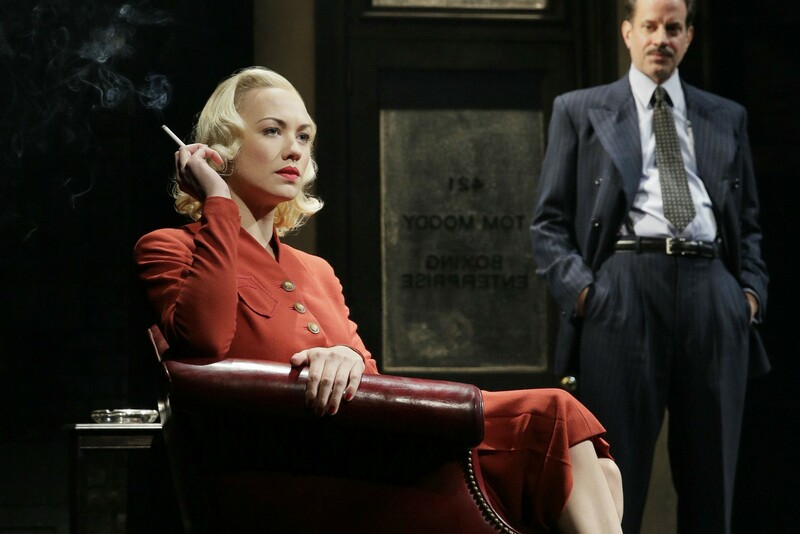 On the Broadway stage, Strahovski won rave reviews for her work as an “incandescent” Lorna Moon in Lincoln Center’s revival of Clifford Odets’ drama, Golden Boy. In popular culture, the Mass Effect video game heroine, Miranda Lawson, is based on her; and her recent “Princess Rap Battle” video (as Game of Thrones‘ Daenerys Targaryen vs. Sleeping Beauty‘s Maleficent) has over 18 million hits so far. See more of this award-winning actress, including a gallery of photos from top Australian fashion photographer Luke Stambouliah, as well as video highlights from her career. Is there a Chuck movie in our future? Yvonne Strahovski opens up about it at the red carpet premiere of #ManhattanNight in New York City! Watch This Interview With Yvonne at the Manhattan Night Premiere. Read This Q&A Yvonne Did With Playbill While Starring on Broadway in Golden Boy.